The MPB2Kit is a magnetic and piezo buffer/pre-amp with 25K blend pot and adjustable gain trim pot for the magnetic channel. It works great for electric guitars, basses and acoustic guitars. It has superior clarity and low-noise. The buffer isolates the pickup output so that outboard effects, even the ones with True Bypass, and amps do not weaken the pickups output. It operates as a buffer for any of their onboard Pre-Amps, such as the NTMB and TCT 3-Band EQs, NTBT 2-Band EQ, or stand-alone in front of a passive tone control. It operates at either 9V or 18V. 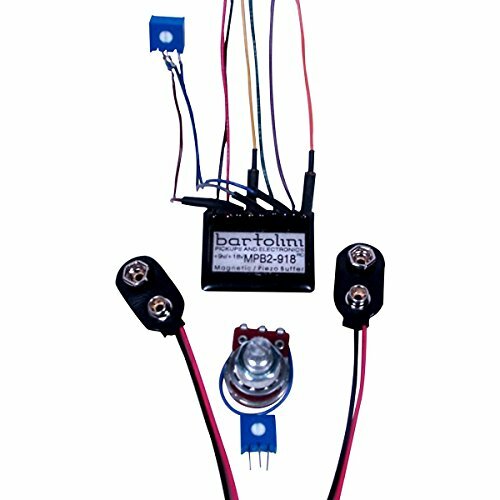 If you have any questions about this product by Bartolini, contact us by completing and submitting the form below. If you are looking for a specif part number, please include it with your message.